The Grande Maison du Morvan is a Bed and Breakfast located in the Morvan Regional Park in Burgundy. You will stay near Vezelay and its basilica, Vauban’s Castle, several hiking tracks for pedestrians or riders, six lakes where you can canoe and have rest, or rafting spots. The house and its five large and bright bedrooms is surrounded of large park with many ancient differents trees species. 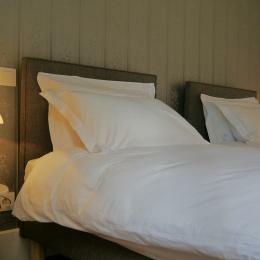 Your bedroom could be prepared with a couple bed (180*200 cm) or with two simple beds (90*200 cm). In each bedroom you have private toilets and shower room. Finally, we propose an evening meal by reservation. 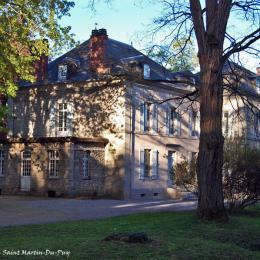 The Grande Maison du Morvan is a Bed and Breakfast located in the Morvan Regional Park in Burgundy. You will stay near Vezelay and its basilica, Vauban’s Castle, several hiking tracks for pedestrians or riders, six lakes where you can canoe and have rest, or rafting spots.